The Summerland at Marden Ridge Apartments is one to see! 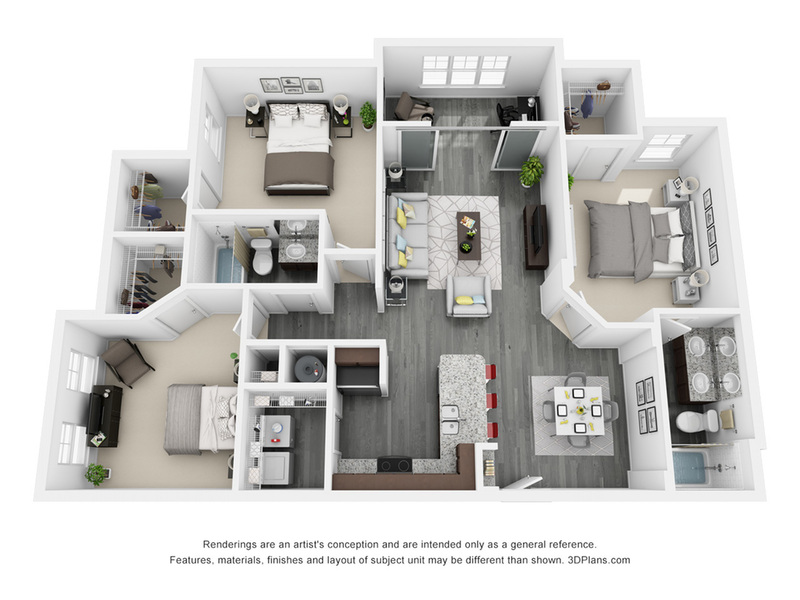 This floorplan has room for everyone. This apartment home features 9' ceilings, a large dining room area that will fit a large dining set. All bedrooms have large walk-in closets. The master suite has it's own private bathroom, that has double vanities. This unit is unique as it has a side-by side washer/dryer and it's own laundry room/utility room. This unit also has it's own hot water heater. The Summerland also had an extra bonus room, the solarium that can be used for relaxing, reading or as your office space. This apartment home has linen closes for each bathroom and an abundance of space!